South of Providence, RI, hair transplant surgery is performed with success and sensitivity at the DiStefano Hair Restoration Center in Warwick. Dr. Mark DiStefano is recognized nationwide for his extensive hair restoration treatment options, and for his status as an expert in the field. To date, Dr. DiStefano has performed over 5,000 hair transplant surgeries, and he only continues to improve and expand his knowledge base in the industry. Dr. DiStefano finished his medical degree at the prestigious Georgetown University. Since then, he's become board-certified in emergency medicine, and has fulfilled years of general surgery training. In more recent years, Dr. DiStefano has studied under world-renowned leaders in hair loss treatment, and has become a valued member of associations like the American Hair Loss Council and the International Society of Hair Restoration. At Dr. DiStefano's clinic in Warwick, hair transplant surgery, Propecia medications, low level laser hair therapy, and topical hair loss treatments are all provided for Rhode Island hair loss sufferers. Hair transplant surgery patients near Providence can choose follicular unit transplantation, individual hair grafting, follicular unit extraction, or Dr. DiStefano's own one-of-a-kind treatment, Total Crown Renewal! By contacting our representatives today, you can learn more about hair transplant surgery in Warwick, RI, or have us schedule your first free consultation with Dr. DiStefano south of Providence! DiStefano Hair Restoration - Warwick (RI) offers Complimentary Consultations. Dr. DiStefano and a patient coordinator will personally meet with each patient during their consultation appointment. At this time, Dr. DiStefano will perform a scalp and hair analysis and discuss possible treatment options. Afterwards, the patient coordinator will give patients additional information about financing plans, and schedule future appointments. Harvard Medical International frequently refers hair restoration physicians to Dr. DiStefano, for training in hair transplant surgery techniques and new technological applications. 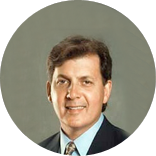 Dr. DiStefano has performed over 5,000 hair transplant surgeries in his career. Dr. DiStefano is currently the only surgeon in the U.S. to successfully offer and perform Total Crown Renewal—a modified version of the revolutionary Frechet Triple Flap procedure. An ongoing participant in "Operation Restore"